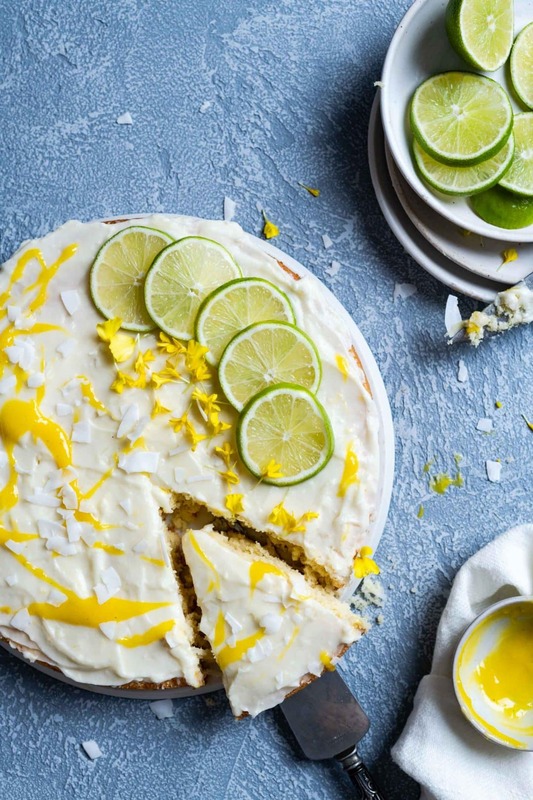 Tropical Cake is a burst of island flavors, with a pineapple coconut cake base topped with lime juice frosting and a drizzle of mango curd! 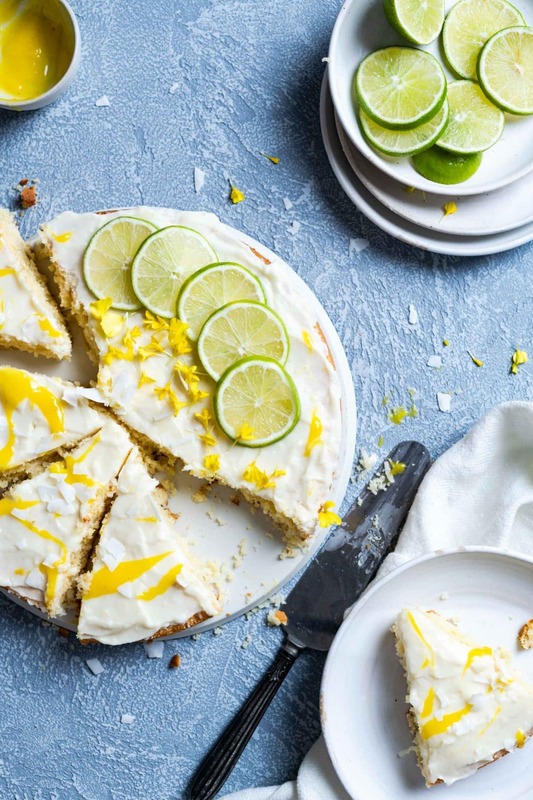 A light summer dessert that will have you dreaming of sipping a pina colada on the beach. 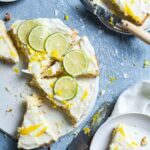 I started out with the intentions of creating a beautiful layered cake with this recipe. My visions consisted of three 6-inch cake layers, with lime juice frosting, and drizzles of mango curd. Mangos were ripe, pineapple was delicious, and the limes were fresh! I baked three perfect layers and set them on the counter to cool. After a few moments of debating over which cake stand to display my lovely Tropical Cake, I began to assemble. First dabbing a bit of frosting onto the center of the stand and placing my bottom cake layer down. 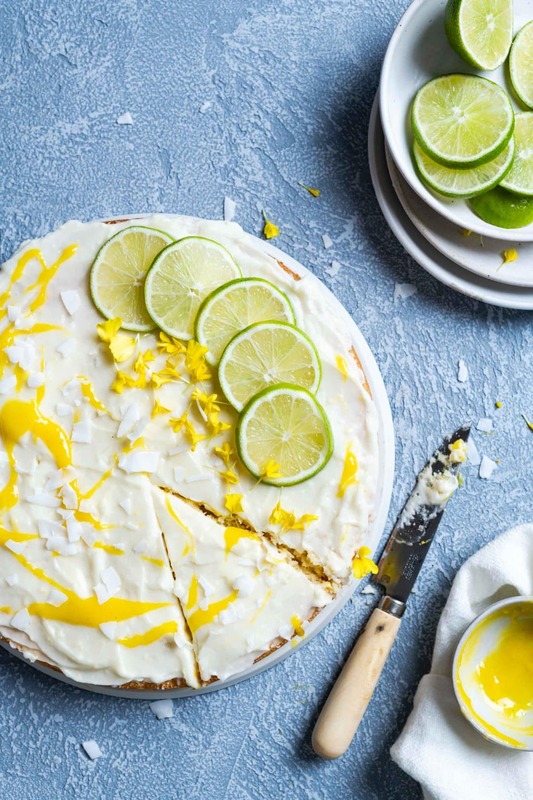 I proceeded to cover the top with lime frosting and a thin layer of mango curd. Being so excited to see this cake come to life, I hastily grabbed the second layer. It slipped out of my hand and onto the side of the counter..breaking in half! CRAP!! Regrouping and thankful I still had plenty of ingredients I made a second cake (4th layer to be exact). Avoiding any more mishaps, a 10 inch single layer was made. Which is totally fine, because it turned out quite beautiful. So, you can either do three 6 inch layers by splitting the batter, or one 10 inch layer and keep it simple. Either way the result is crazy delicious! 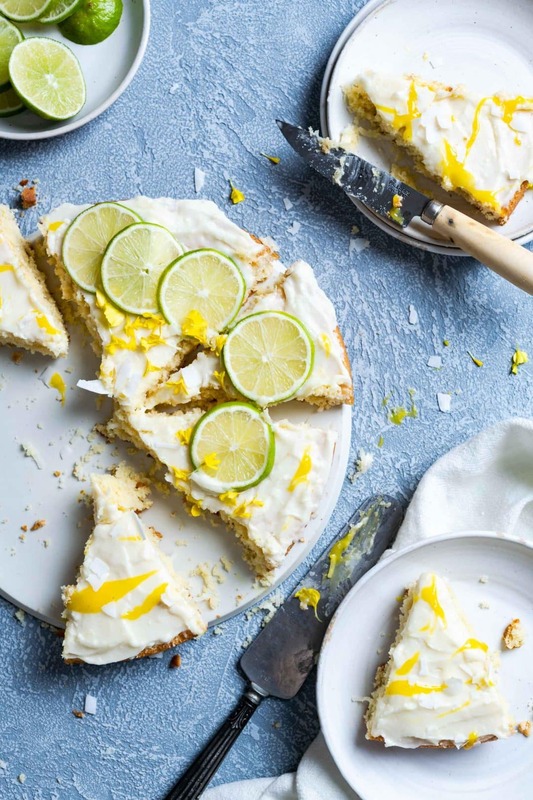 Tropical Cake is a burst of island flavors, with a pineapple coconut base topped with lime frosting and a drizzle of mango curd! 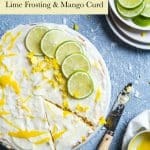 Prepare Mango Curd and Lime Frosting before baking cake. Set both in the fridge until time to assemble cake. Preheat oven to 350 F ( 177 C). 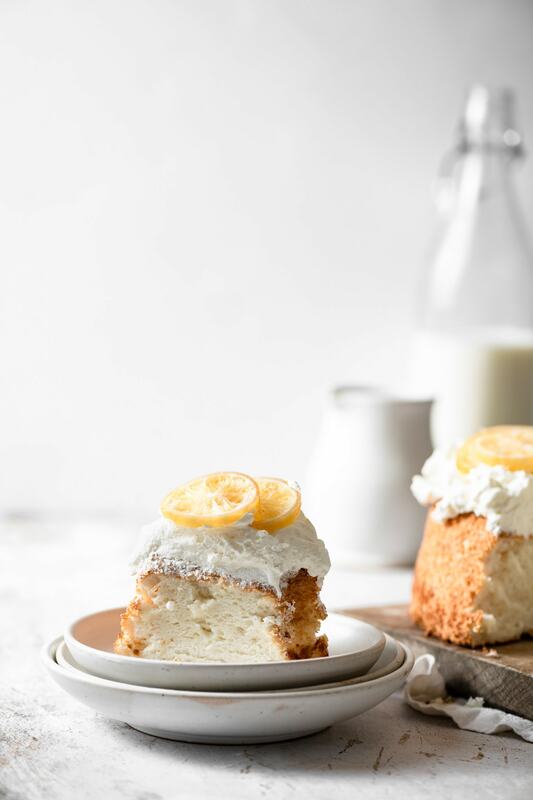 Prepare a 10 inch cake pan (or three 6 inch pans, divide batter evenly), by greasing the sides and bottom, then adding a layer of parchment paper in a round shape across the bottom of pan. 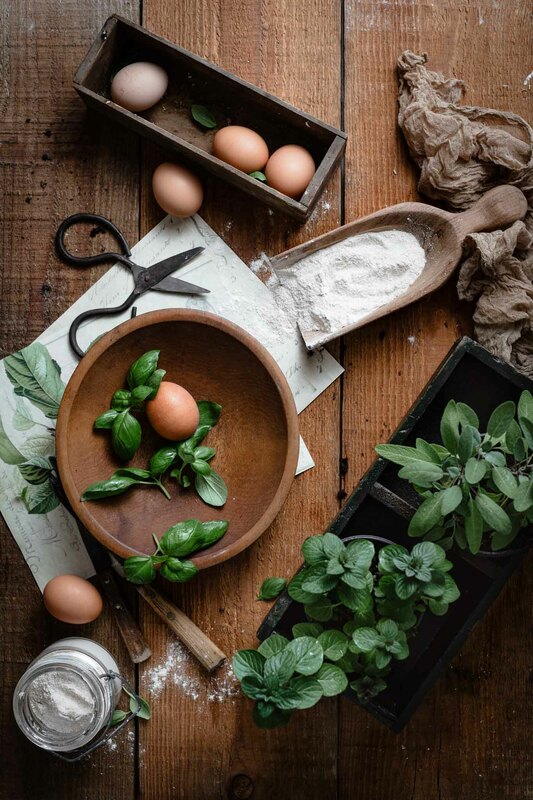 In a medium bowl whisk together sifted flour and sugar. In the bowl of a stand mixer with whisk attachment, add coconut oil, pineapple puree, eggs, and vanilla. Mix until combined. Slowly spoon flour mixture into wet mixture and whisk on medium until incorporated. With a spatula fold shredded coconut into the batter. Pour batter into prepared cake pan. Smack pan gently by lifting a couple inches from counter and pressing firmly down to push out any air holes from batter. Bake for 30-35 minutes, until golden brown and a toothpick inserted in the middle comes out clean. Place pan on cooling rack for 10-15 min. Flip pan upside down onto cooling rack. Remove parchment paper from bottom and transfer to cake dish/stand. 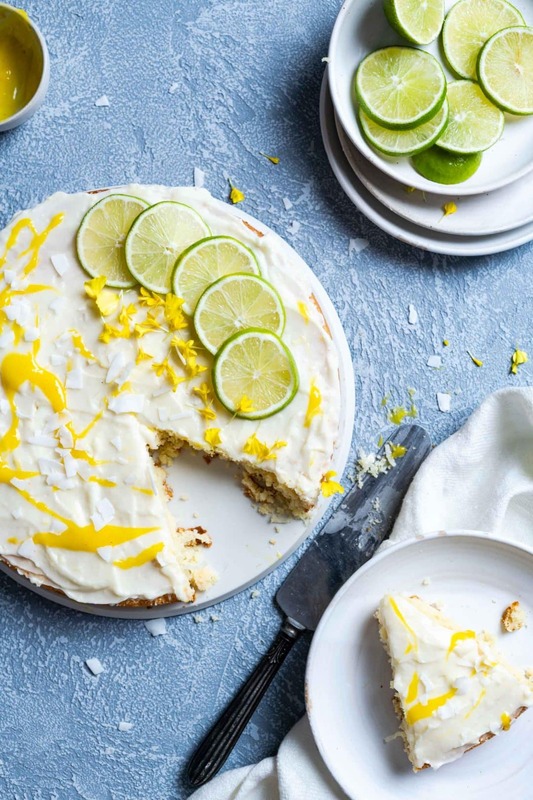 Spread lime icing evenly across top of cake. Drizzle with mango curd and a sprinkling of shredded coconut. The recipe ingredients mention pineapple purée but the instructions don’t address when to add it to mix. Do you purchase or make the purée?